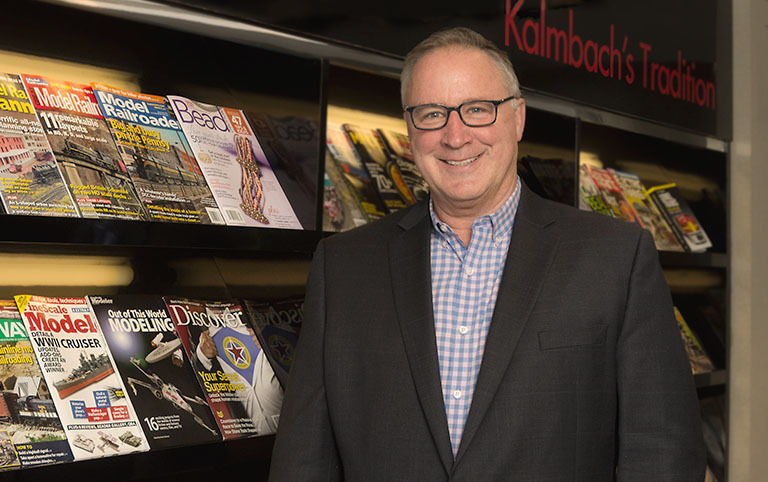 WAUKESHA, WI – Kalmbach Publishing Co. announced today the appointment of media veteran Dan Hickey as Chief Executive Officer. Hickey, 57, of Park City, Utah, becomes Kalmbach’s sixth CEO in the company’s 83-year history. He replaces Charles Croft, who left the company in fall 2016. Hickey has spent more than 25 years in media leadership roles, including a 12-year career at Meredith Corp., where he oversaw all the digital businesses. He also held executive positions at AOL, The Daily Telegraph in London, and Tribune Publishing. Recently, Hickey has been a digital media consultant at National Geographic in Washington, D.C. Earlier in his career Hickey held editorial leadership roles at SportBoston, Walking, National Gardening, EarthWatch, and Vermont Times. The QTI Group, out of Madison, Wisconsin, was the recruiting firm used in this executive search. Kalmbach Publishing Co., based in suburban Milwaukee, publishes 12 special-interest magazines — including Astronomy, Bead&Button, Discover, Model Railroader, and Trains — and produces related books, websites and events for enthusiasts.